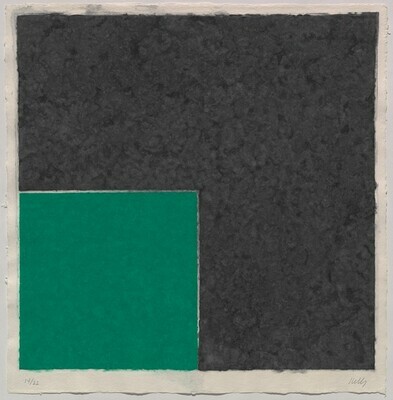 Ellsworth Kelly: Colored Paper Images, National Gallery of Art, Washington, DC, December 16, 2012-December 1, 2013. Axsom, Richard H. The Prints of Ellsworth Kelly: A Catalogue Raisonné. Portland, Oregon: Jordan Schnitzer Family Foundation, 2012, no. 158.